This website was designed as part of my eMINTS comprehensive training. It was created to help students keep track of assignments and parents stay connected to the classroom. All community members should have access to this site and all appropriate links. If you run into an issue, please contact me at your earliest convenience. Thanks! Blow are the Power Standards that will be at the core of my instruction. They are decided upon in our Math Professional Learning Community. 6.RP.1-2 Students will be able to write and compare ratios and rates; solve proportions relation to percent’s and rates of changes. 6.NS.1 Students will apply and extend previous understandings of multiplication and division to divide fractions by fractions. 6.NS.2-4 Students will compute fluently with multi-digit numbers and find common factors and multiples. 6.NS.5-8 Students will understand the context of positive and negative numbers as applied to real-world situations and as represented on a number line and coordinate plane (including absolute value and opposites). 6.EE.1-4 Students will write, read, and evaluate expressions; know how to apply distributive property and recognize equivalent expressions. 6.EE.5-8 Students will reason about and solve one-variable equations and inequalities. 6.EE.9 Students will represent and analyze measureable relationships (in graphs and tables) between dependent and independent variables. 6.G.1-4 Students will solve real-world and mathematical problems involving area (any polygon), surface area (prisms), and volume (rectangular prisms). 6.SP.1-3 Students will develop understanding of statistical variability (data distribution can be described by its center, spread and overall shape). 6.SP.4 Students will display numerical data in plots on a number line, including dot plots, histograms and box plots. 6.SP.5 Students will summarize and describe distributions (using median, mean, interquartile range, and mean absolute deviation). Who is the Best is a webquest that is designed to to help students learn about the different ways to interrupt data to answer the same question. All students will see the same tables, charts, and graphs, but all groups will answer the question in different ways. This opens up the idea that data can be manipulated based on the outlook of the viewer. This connects to 6.SP.1-3 Power Standard. Decades of Design is a project based unit that allows students to select and use appropriate units, tools, and/or formulas to measure and solve problems involving the area, perimeter, and circumference of regular and irregular polygons to create a house out of a given decade. This connects to Power Standard 6.G.1-4. 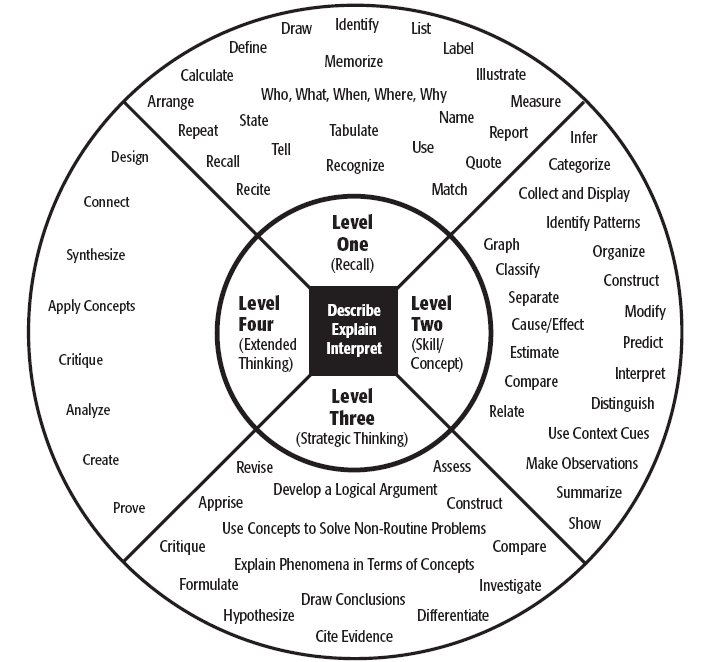 Use the chart below to see how students will be expected to demonstrate their knowledge throughout the year. Click on the links below to access eMINTS resources. Check out SoBoCo Math Departments' eMINTS Promo. The eMINTS National Center website will give you links to professional development, conference information, and special projects. The Southern Boone eMINTS website will allow you to see the various things that my eMINTS comprehensive cohort has been learning about over the last three years. The websites with presentations from the 2015 Conference are linked to the right. The following OFT lesson was created by Southern Boone's eMINTS instructor Karen Pfingsten. Please email Karen for the password and permission to use kpfingsten@ashland.k12.mo.us. Click on the links below to access resources to add to your classroom content. The National Council for Teachers of Mathematics is a website that serves a variety of teachers and administrators by providing lessons, activities, and professional development that align to the Common Core State Standards. Khan Academy is a website where you can watch videos, play games, and keep track of practice on various school subjects. This is a great addition to traditional teaching in the classroom.